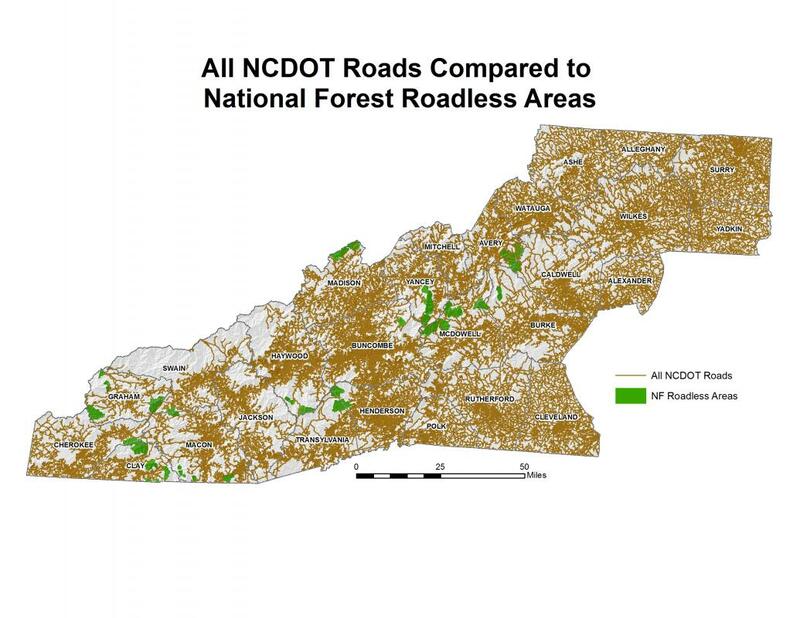 Roadless areas are a limited resource in the southern Appalachians and in the eastern U.S. These areas, almost exclusively in public lands, have regained or are regaining a natural appearance, meaning that any signs of prior human activity are vanishing due to natural forces. For an area to be identified as a roadless area, it must include no more than one-half mile of improved road for each 1,000 acres. Roadless areas contain the last remaining large tracts of the least disturbed land in the region, other than wilderness. Public land agencies are the primary owners of these areas. Although the region as a whole is well roaded, there is an exceptionally high number of roadless areas. The largest roadless area in the region and the southern Appalachian Mountains is in the Great Smoky Mountains National Park, an area containing some 464,544 acres. 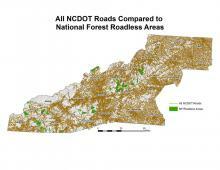 In addition to areas in the Great Smoky Mountains National Park, the Pisgah and Nantahala National Forests contain around 151,000 roadless acres, or 14.6 percent of total national forest acres. Forest fragmentation refers to the breaking up of uninterrupted forested areas into smaller zones, and is viewed as harmful to the habitat of many birds, mammals, and plants, as well as entire ecosystems. Animals with large range and breeding requirements are most affected. Open roads can also diminish use for primitive recreation experiences, as well as birdwatching, fishing, hiking, and hunting. Roads also lead to increased erosion and air and water pollution. When new road construction occurs in roadless areas, the area is eliminated from the possibility of future wilderness designation. After construction, roads rarely return to their original state and, therefore, permanently transform the landscape. Taylor Barnhill, Hugh Irwin, Thomas Craven, and the Southern Appalachian Forest Coalition. 2011. Our Green is Our Gold: Economic Benefits of National Forests for Southern Appalachian Communities. Southern Appalachian Forest Coalition. 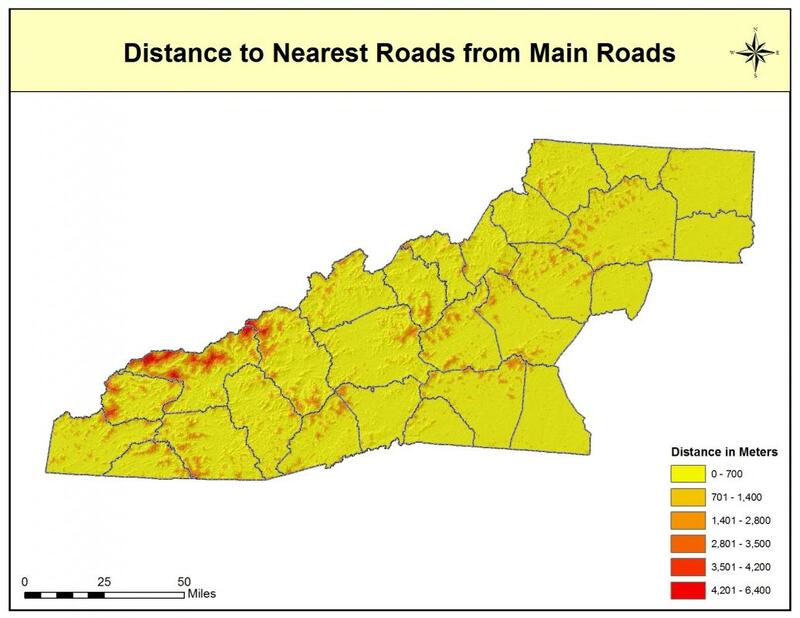 The Southern Appalachian Assessment: Social | Cultural | Economic Technical Report. Report 4 of 5. July 1996. Prepared by federal and state agencies coordinated through Southern Appalachian Man and the Biosphere Cooperative. Accessed from: http://sunsite.utk.edu/samab/saa/reports/social/front.pdf. Southern Appalachia Forest Coalition. Roadless Facts. Updated June 2009. Accessed from: http://www.safc.org/campaigns/roadless/roadless_facts.php.